AOMA's commitment to education goes beyond the courses offered within our degree programs. At AOMA, hundreds of hours of acupuncture continuing education are made available every year. Typically these courses are approved for Texas, California, Florida, and NCCAOM. We offer a variety of courses to enhance the acquisition and understanding of Chinese Medicine, acupuncture, and other related fields of practice. Below, you will find a list of our current courses. Please check back frequently as our schedule may change. The Southwest Symposium is an integrative medicine conference providing CE credits for acupuncturists, massage therapists, nurses, and naturopaths. The community classes at AOMA delve into a variety of natural health topics including mindfulness, movement therapies, and mind-body practices. Southwest Symposium: Contact symposium@aoma.edu or 512-492-3009. 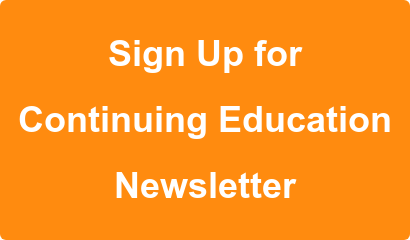 For all other continuing education seminars: Contact ce@aoma.edu or 512-492-3009. We do not accept verbal cancellations. All cancellations must be received in writing by letter, fax, or email (ce@aoma.edu). Cancellations made at least 21 calendar days prior to the first class day will receive a full refund less a $50.00 administration fee. Cancellations made 20-14 calendar days prior to the first class day will receive a 50% refund. Cancellations made 13-5 calendar days prior to the first class day will receive a 25% refund. No refunds will be issued for cancellations made less than 5 calendar days prior to the first class day. AOMA is unable to transfer course fees paid for one seminar or course to any other seminar or course. In the unlikely event that AOMA has to cancel a course due to insufficient enrollment, or for another unforeseen reason, registrants will receive a full refund. All courses taught in English unless otherwise noted. All courses are held at AOMA Graduate School of Integrative Medicine (4701 West Gate Blvd, Austin, TX 78745) unless otherwise noted. To view our campus map and directions, click here. Please note: We cannot accept verbal requests or voice messages. For more information about your certificate, contact ce@aoma.eduor call 512-492-3009 or 800-824-9987, ext. 209.